Adventure tourism in La Paz! La Paz is the ideal destination for those who prefer experiences in close proximity to nature and in an environment in harmony with the local community. If you decide to discover La Paz during the holidays, you can enjoy a diversity of beaches, landscapes, water activities, adventures and walks that are perfect for families, couples and individuals. The tranquility of La Paz and its unique characteristics make it a place far away from the everyday hustle and bustle. Come and discover La Paz. It is the perfect place for adventure accompanied by natural beauty in a single paradise! Any of the following adventures would be amazing. For all diving lovers, from beginners to advanced, La Paz offers a spectacular underwater adventure. 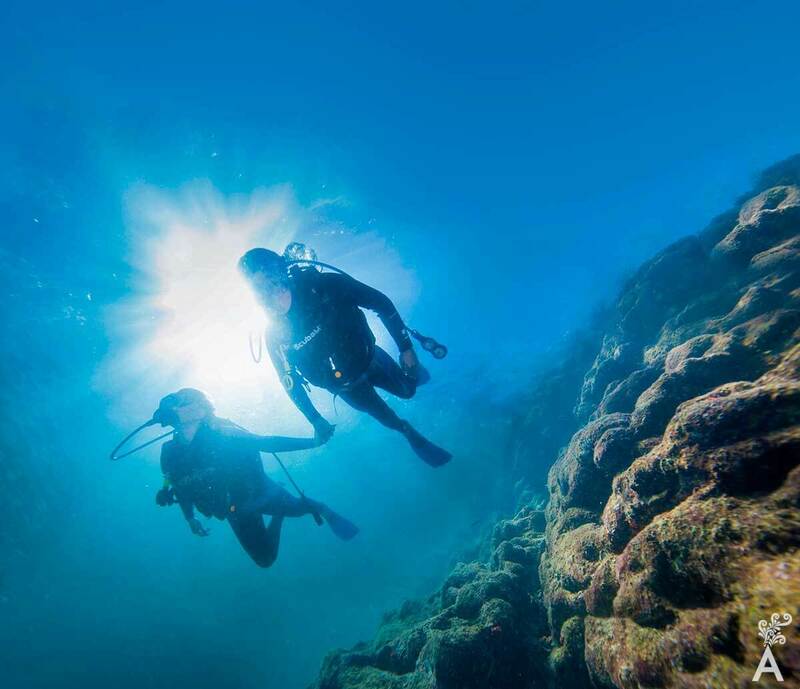 Enjoy diving with sea lions off the islets and take advantage of the opportunity to see hammerhead sharks and beautiful giant manta rays in their natural habitat. The impressive thing about this adventure is the closeness you have with this mammal. By entering the whale’s sanctuaries in small boats in a respectful way, you can touch them, listen to their breathing and watch them swim and protect their calves. Enjoy the grace and kindness of the world’s largest fish. This will truly be an experience you will never forget. 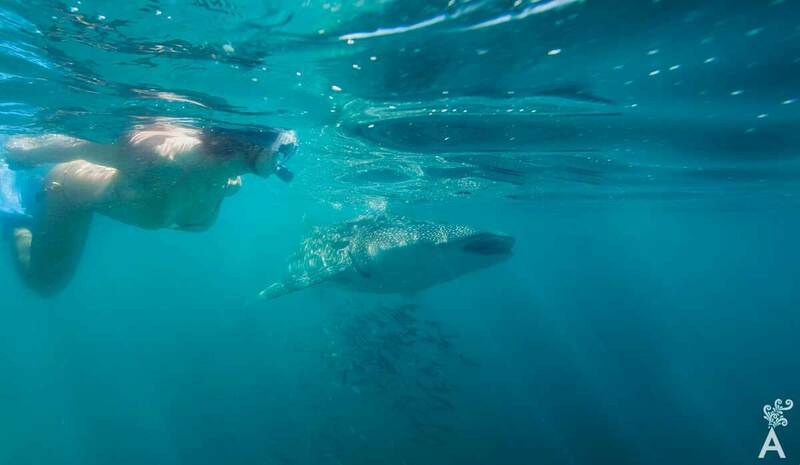 The slow movements of the whale shark transmit a positive energy of peace and relaxation. It is a definite counterpoint to the adrenaline you will feel being next to this giant of the sea. 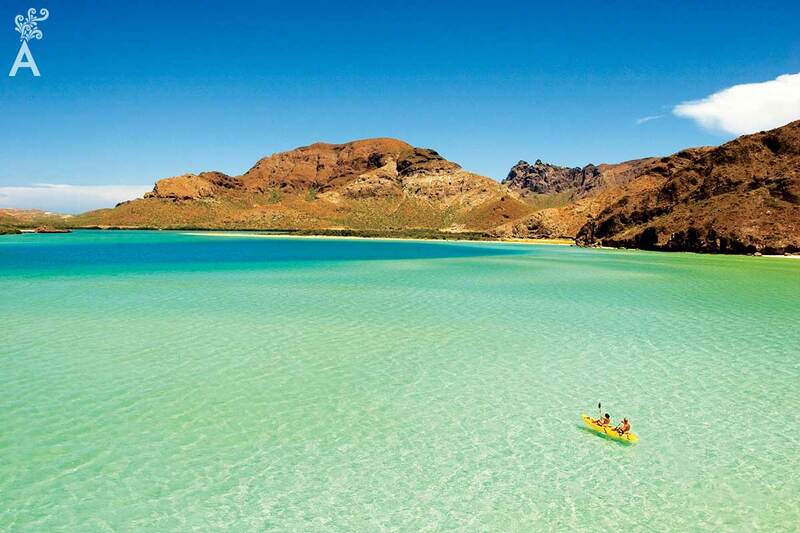 The beaches of La Paz are ideal for sunbathing. They also make it easy to kayak, paddleboard, watch giant manta rays and enjoy the most delicious dishes under a palapa by the sea. 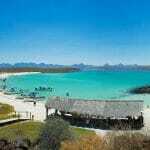 The waters of La Paz and nearby areas possess an extraordinary richness of large pelagic fish. Among the most coveted are the striped marlin, blue marlin and the black marlin. There are also dorado, rooster fish, and tuna. It’s easy to see why this area has become an international paradise for sport fishing. Gliding over the dunes of El Mogote is a new activity known as sandboarding. The contrast of desert with the Sea of Cortez offers spectacular views.